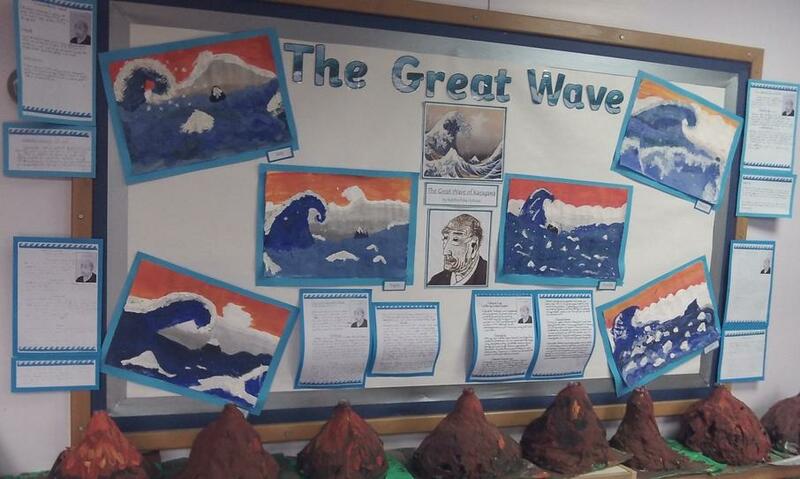 In Year 3, we have been learning about Extreme Earth - Volcanoes, Earthquakes and Tsunamis. 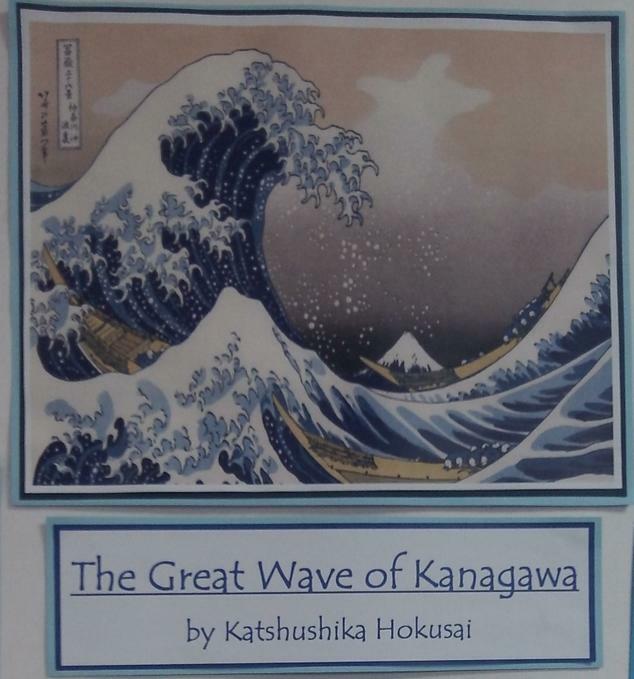 As part of our learning, we studied the Japanese artist Katsushika Hokusai who was known for his painting ‘The Great Wave Off Kanagawa’. Year 3 had a go at recreating this famous painting using mixed media! 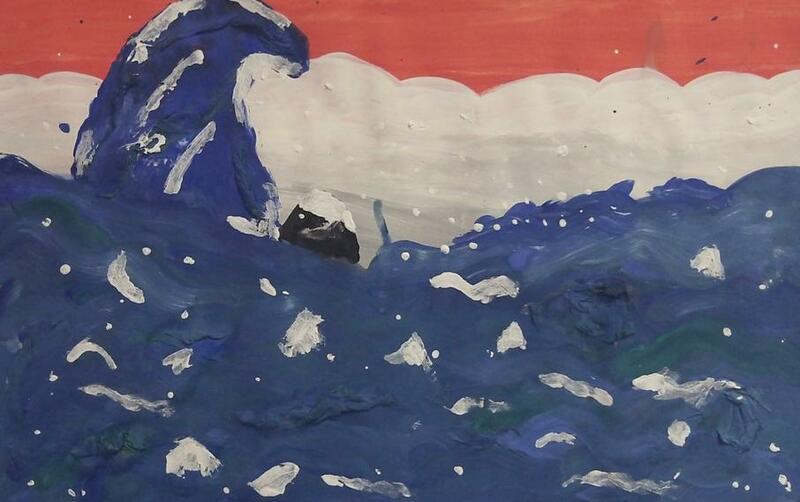 After studying ‘The Great Wave off Kanagawa’, we learnt that Hokusai painted in layers, therefore we decided to do the same. Firstly, we mixed red and yellow paint to make orange for the sky. 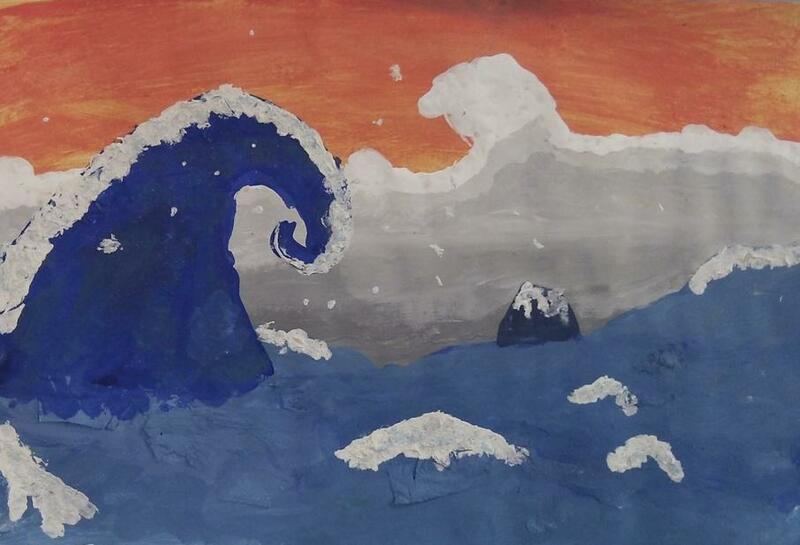 Secondly, we used white paint to create the ash cloud, slowly mixing in black paint to create a gradient to dark grey. 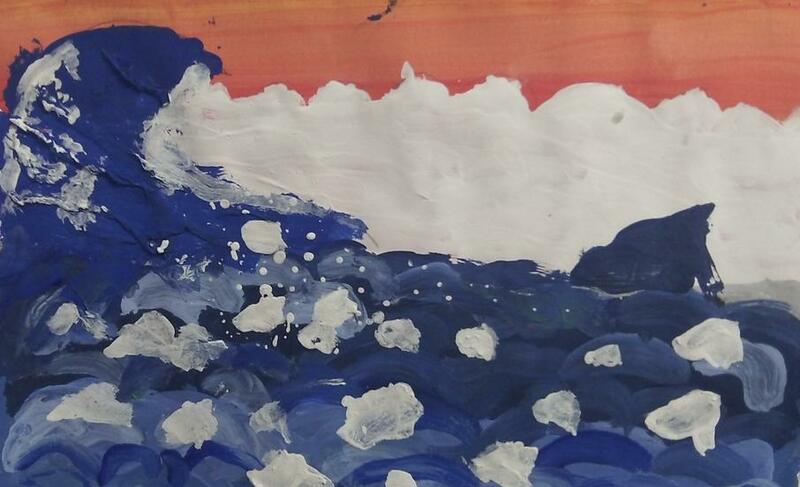 Thirdly, we painted the sea. We mixed 4 different shades of blue to create tone and added tissue paper to create texture. 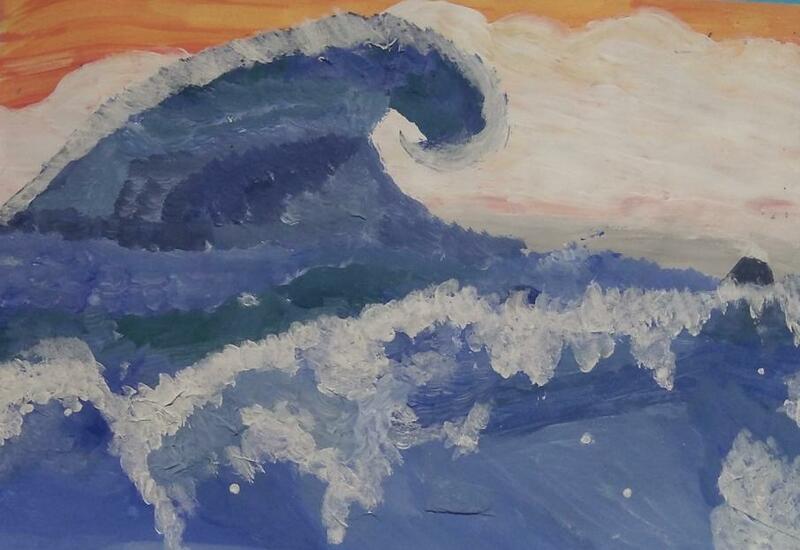 We then used the same techniques to paint the great wave. 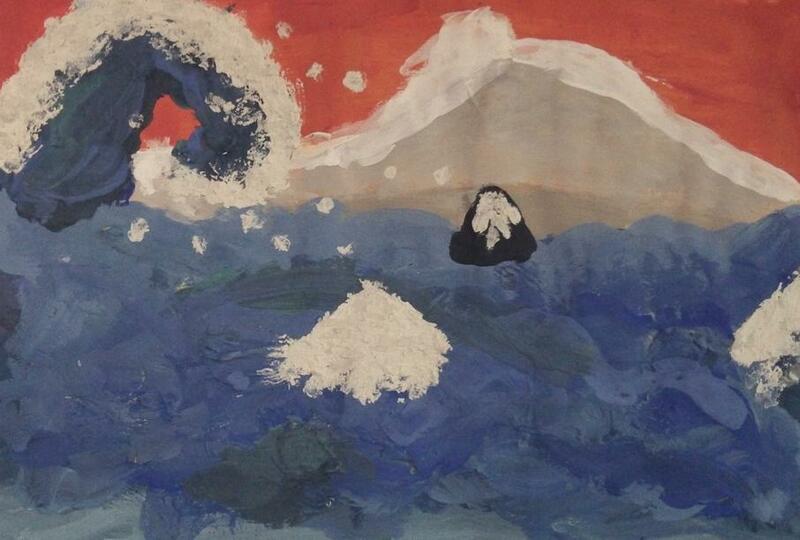 After that, we used the darkest blue shade to paint Mount Fiji in the background. 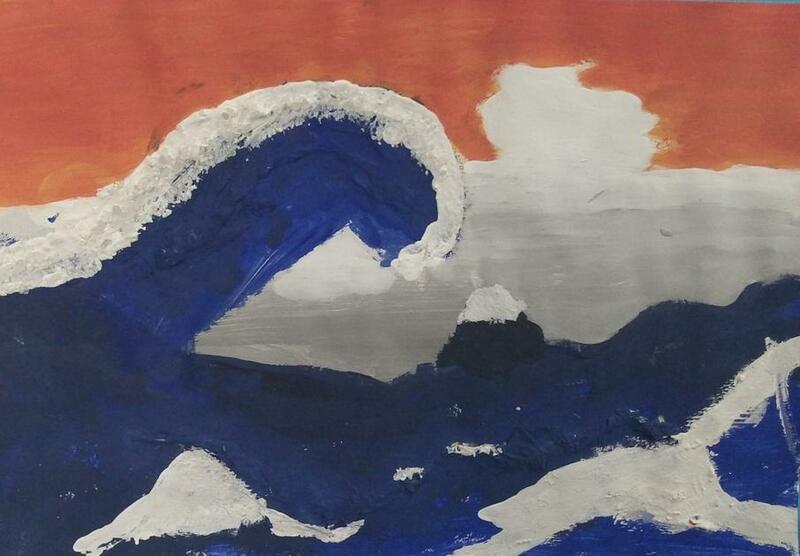 Finally, we mixed white paint with flour and sea salt to add the spray to the sea and wave. 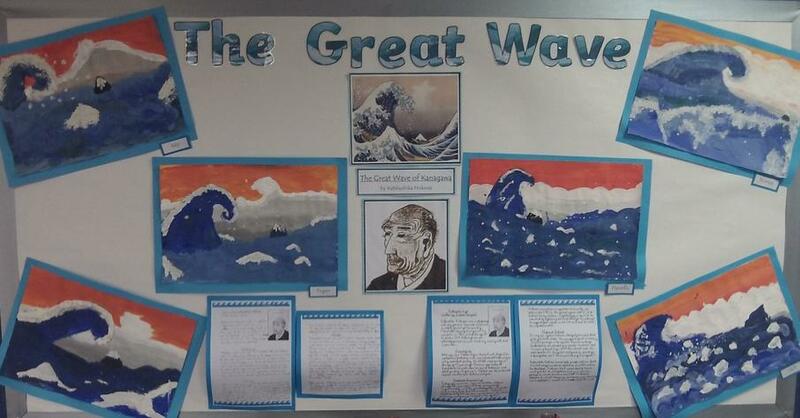 To go with our paintings, we also researched the artist Katsushika Hokusai and wrote his biography. We learnt so much about the artist through doing this. Did you know that Hokusai moved house 93 times because he hated cleaning? When his house got too dirty, he would simply move rather than clean. Year 3 are very proud of their learning and hope that you like it too!